The introduction of the RTX series to the GPU market has been met with a degree of animosity. NVIDIA hasn’t had to dethrone ant such rival in the high-end segment and yet the cost for each of the three GPUs thus far have been sky high. Why is this so? Well, instead of continuing as normal they’ve created true next-gen features for gamers to be mesmerised by and with such capabilities comes a cost. But it remains to be seen how next-gen features like real-time raytracing will play out. We’ll need more developers to embrace such technologies. So far the RTX series has largely appealed to gamers who are fundamentally using UHD – the target audience has been quite narrow, the RTX 2060 changes this completely. Despite the 6GB frame buffer, RTX 2060 doubles down on 1080p and 1440p, providing us with an effective successor to last season’s GTX 1070/1070Ti. 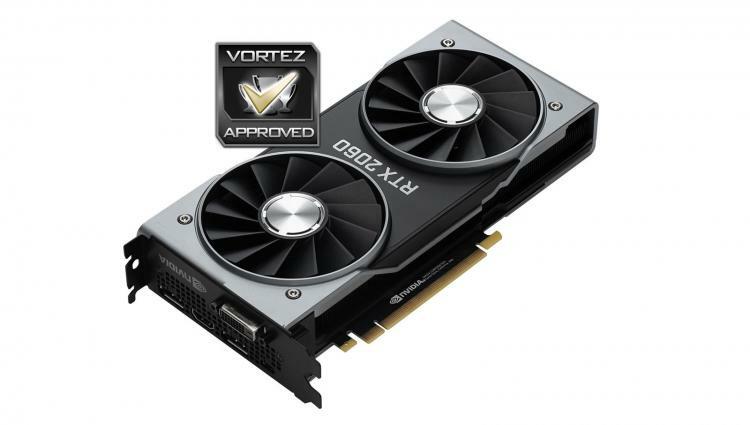 At a cost of £329 GBP - $349 USD - $599 AUD, appeal is broadened – especially since the intended resolution for this graphics card is the most common and that it provides a stepping stone to features like real-time raytracing and DLSS. The NVIDIA RTX 2060 FE is a solid card and is likely to be an appealing option for mid-range gamers seeking a slice of RTX pie. Click here for an explanation of our awards at Vortez.net.